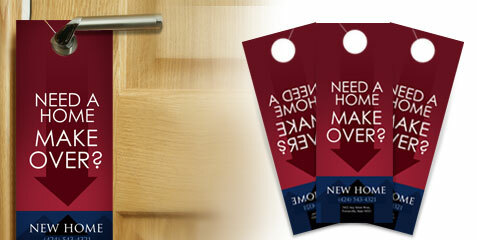 Door hangers aren’t just for telling hotel staff not to disturb you or to clean your room. 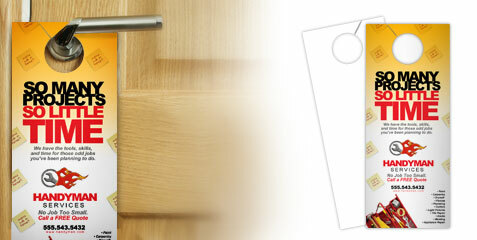 While that still is the traditional purpose of door hangers, they are now a widely used marketing tool. They are less likely to be totally ignored as customers will need to pick them up to remove them. 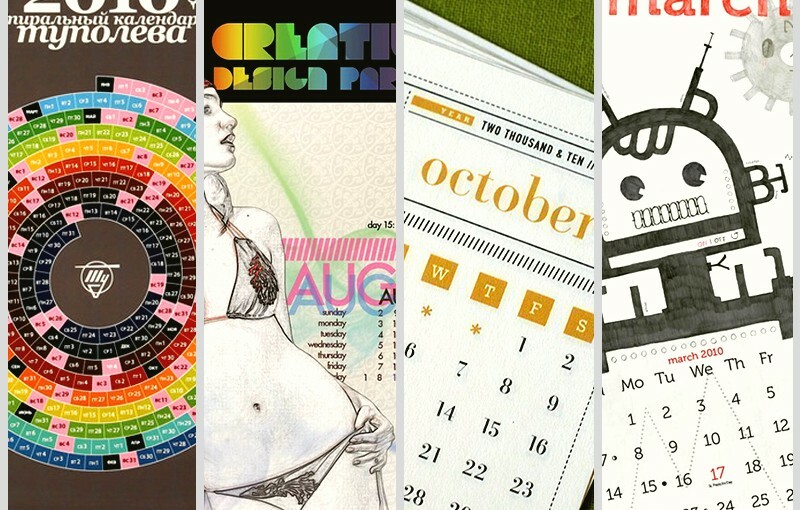 Our digital printers are able to produce photo-quality prints at around 600 DPI (dots per inch). However, the quality of the images you send over will still be the biggest factor for getting better-looking door hangers. 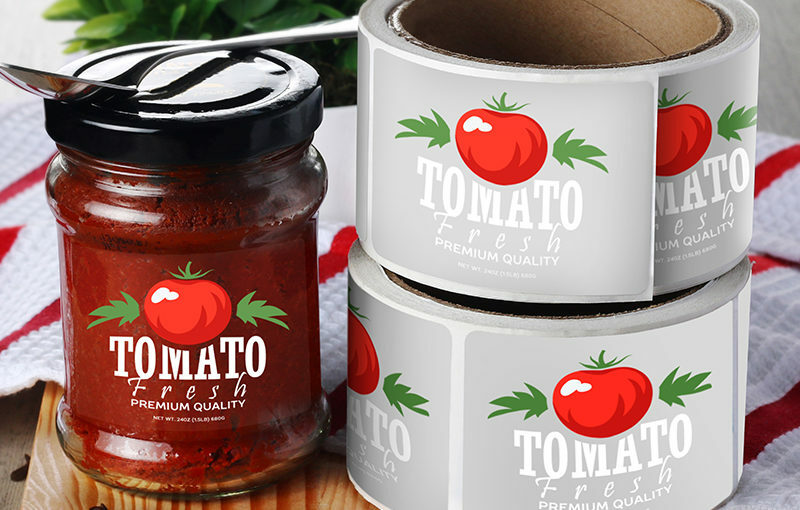 Lower quality images will lead to pixelation, which you wouldn’t want on your door hangers as they will typically be held and viewed at arm’s length. 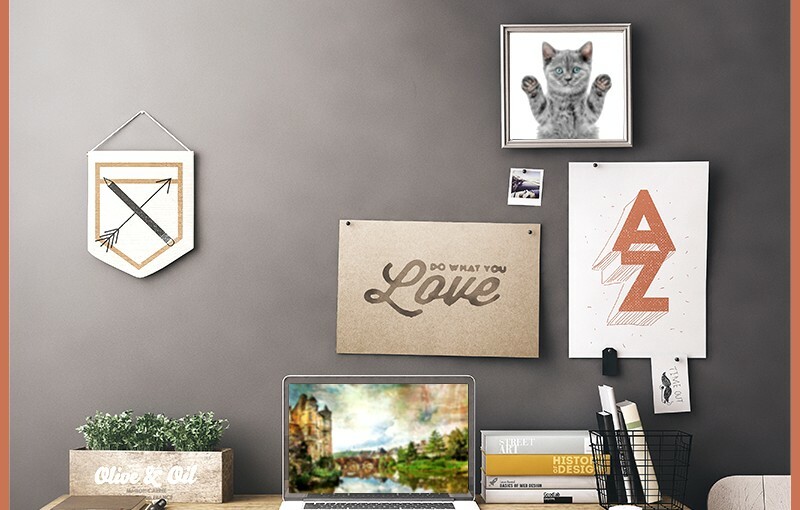 300 PPI (pixels per inch) or better is recommended for door hangers and other print products meant to be viewed at arm’s length. This is less important for indoor applications, but if you plan on distributing door hangers outdoors, you’ll want to be sure they don’t go flapping around in the wind. Cheap paper or cardstock usually does not have sufficient weight to keep them in place and would be more prone to flying off door knobs. Good quality stocks go a long way in ensuring your door hangers hang right where they should. 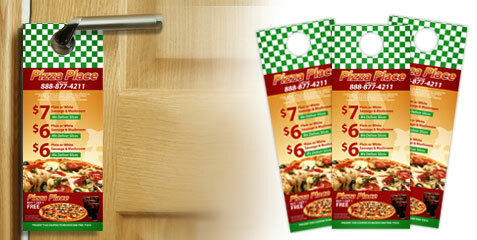 Good quality stock also matters if you plan on having door hangers with perforations at the bottom for coupons. 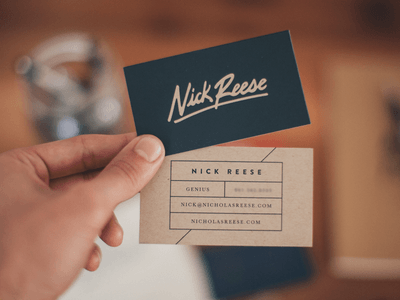 While it might be tempting to plaster your logo right under the door knob hole, you may want to consider putting your hook or main point there instead. That way, in the first few moments you should get your customer interested and you can tell them what you’re all about. 3.) Scout for The Best Locations! 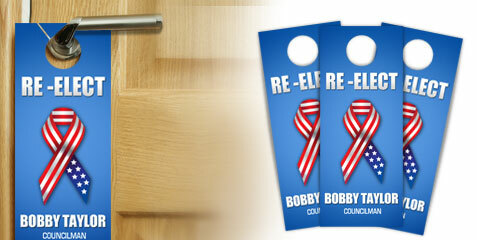 Door hangers can be an effective promotional tool – in the right location. Apartment buildings and residential suburbs are some of the more obvious choices. Public spaces like shopping centers or parks are less attractive, and very upscale communities may have gated houses that make door hangers a less than ideal option. Some apartment buildings and some communities might be off-limits to casual advertisers. Many of them might even be locked or otherwise restrict access. Always ask for permission -when practical. Most communities are quite open and will not give a second thought to anyone distributing door hangers. But if you actually ask permission, you might get an outright “no”. Of course, it depends on the particular community. Always scout for good locations and weigh the risks before you distribute. Door hangers have to be individually placed on doors for them to be really effective. If you just distribute them like you would flyers, you may not get the maximum economy out of them and you might be better off with flyers or postcards. You can pay someone to do this relatively tedious task for you, but if you don’t know them well enough, you’ll often run the risk of them just dumping your door hangers somewhere. This is especially true if you didn’t scout your distribution areas properly and the targeted homes were inaccessible. No matter how well-designed or thought out your door hanger designs are, the majority of them will likely not net an immediate response. Even someone who actually needs your service might not actually respond to them -even with optimal real world conditions. For example, they might not be in the mood for pizza the first time you send out door hangers. But they might be more receptive the second time around. 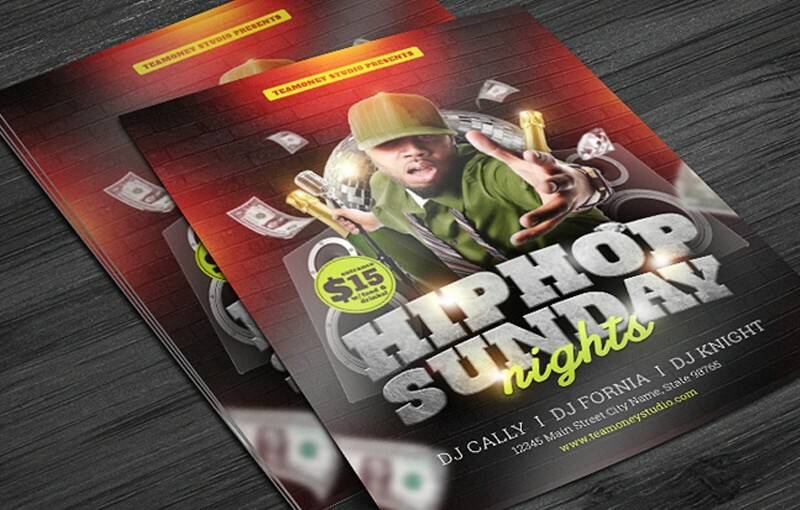 If you continually distribute door hangers, you not only give these customers every opportunity to learn about you, you also demonstrate that you aren’t some fly-by-night operation. If you do house calls or deliveries, it’s the perfect opportunity to distribute 5-10 door hangers on neighbor’s houses. That way, each time you go out is an opportunity to teach people about your services.